Roboticist Rajesh Rao intends to use a combination of goal-setting and "undirected learning" copied from babies to improve robot learning. Intends. The babies effortlessly infer the goals other people are trying to reach. That's a lot trickier with robots. The Formula E initiative is going to sponsor races without race-car drivers, using robot cars. "The Uncanny Valley" is a low level of acceptability for robots that look awfully human, but not perfectly. Robots that look completely mechanical fare better, and so presumably would a robot that looked as perfectly human as Brent Spiner (Lt. Cmdr. Data from "Star Trek") or Julie Newmar (Rhoda of "My Living Doll"). Turns out, the Uncanny Valley is narrower in fiction than in fact. Research using Hiroshi Ishiguros Geminoids indicates people take to fictional robots that are clearly not human much more readily than they do to real "androids" (Geminoids) with their dead eyes and creepy skin. It seems we can tolerate Pinocchio as a living puppet or a real boy, but hardly anything in between. 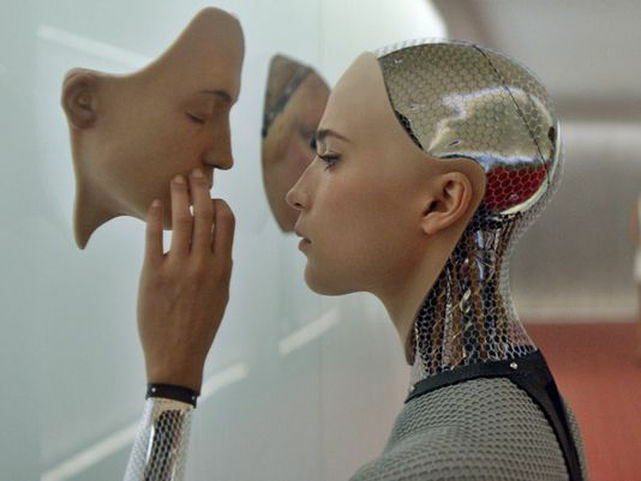 A real-life encounter with Ava of "Ex Machina" (played by Alicia Vikander) would probably be enormously upsetting.